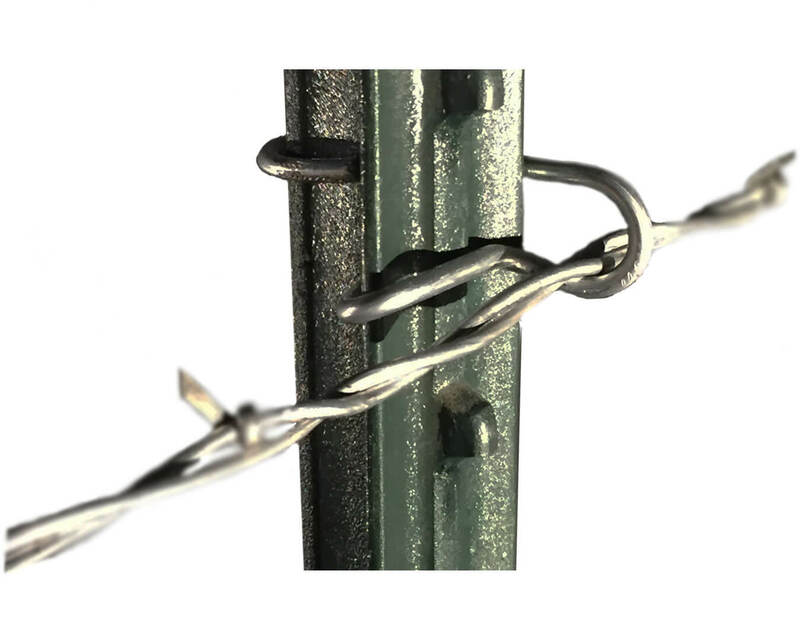 Our T-Post Clips were designed so that the ends of the fasteners provide tension when installed, keeping the line wire tight against the post. 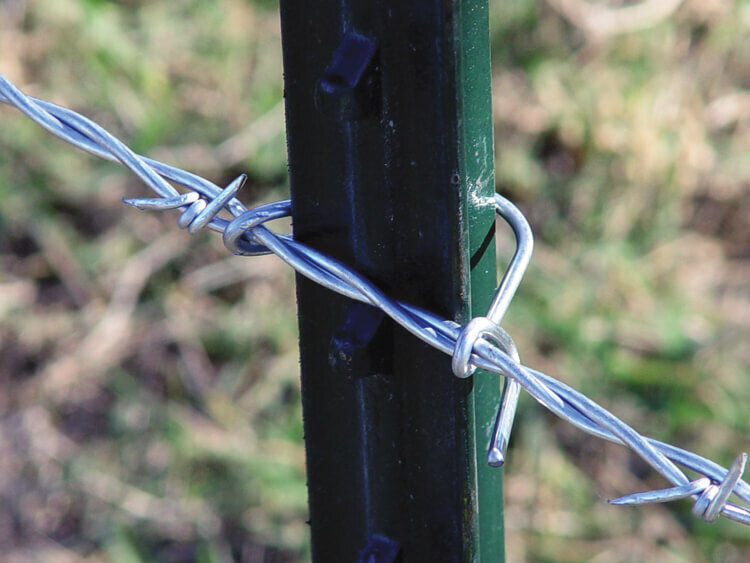 Just a half-turn around the wire is all it takes for easy installation. These high-quality clips are universal, fitting 1.25 and 1.33-pound t-posts. They are packaged in quantities of 1,000 clips per bag, and sub-packaged in 20 bags of 50 clips. Pallets contain 100 bags, which weigh approximately 21 pounds each.